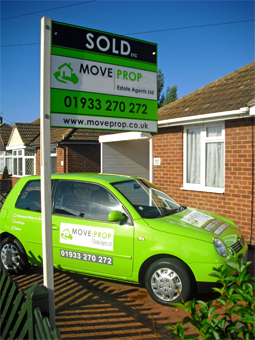 Thank you for visiting Move Prop. We are one of Wellingborough's newest Estate Agents offering a wide range of properties FOR SALE and TO LET in and around East Northamptonshire. We trust that we will be able to assist you whether you are buying, selling or letting a residential property or seeking to take advantage of one of the many other property services we can offer. We provide FREE market appraisals, FREE local press advertising, FREE Floor Plans, Distinctive colour details and offer service 7 days of the week. Welcome to a fresh new pro-active, passionate and professional approach to residential SALES and LETTINGS in and around the Wellingborough area. Our aim is to establish individual relationships with our clients through a business which is built on energy, agility, professionalism and knowledge. Our enthusiasm shows our clients that we will always do the best for them. Areas covered include Wellingborough, Northampton, Rushden, Irthlingborough, Irchester, Earls Barton, Finedon, Wollaston, Bozeat and surrounding villages. We are a business that believes in high quality standards which include responding promptly to all e-mails received and the returning of all telephone calls.